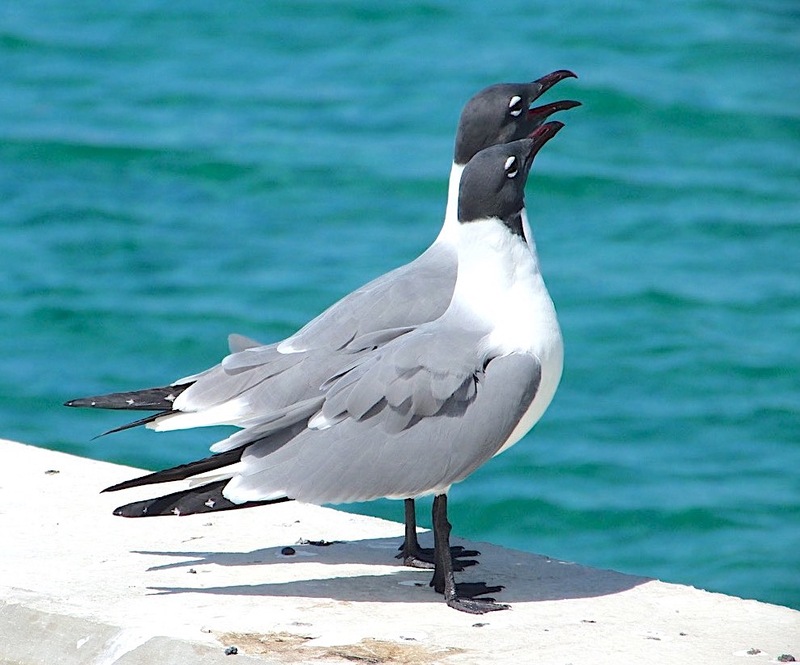 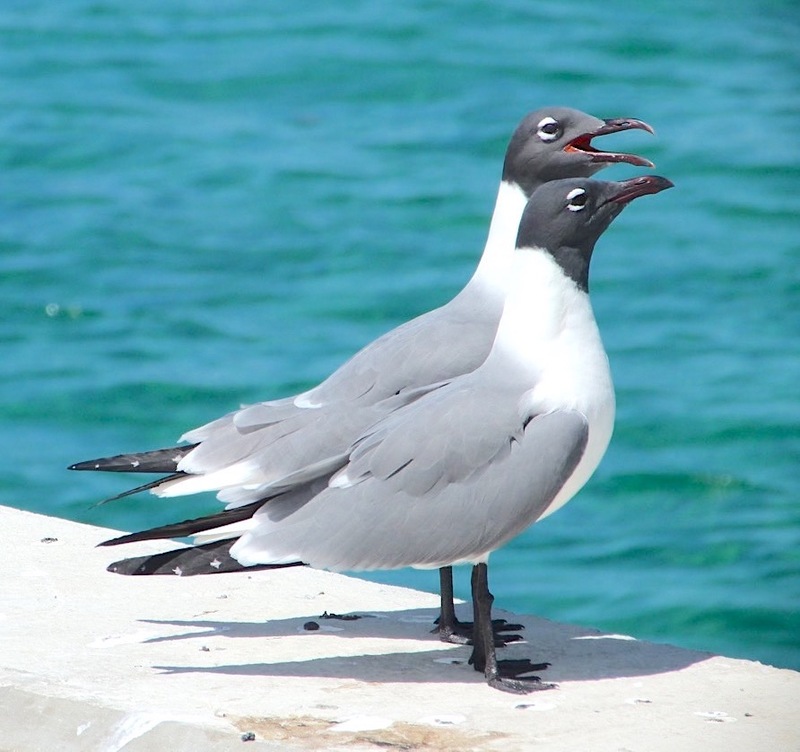 LAUGHING GULLS ON ABACO: NOT SHARING THE JOKE? 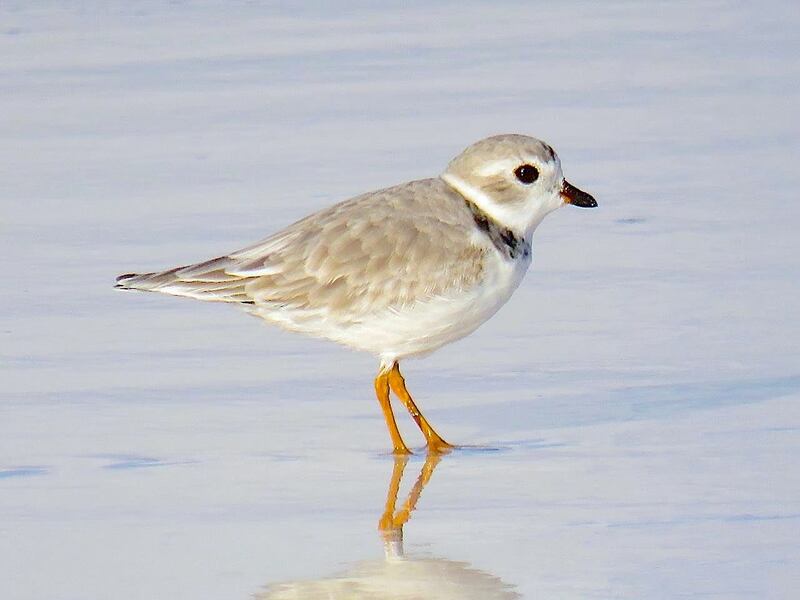 Sandy Point always promises well for birding. 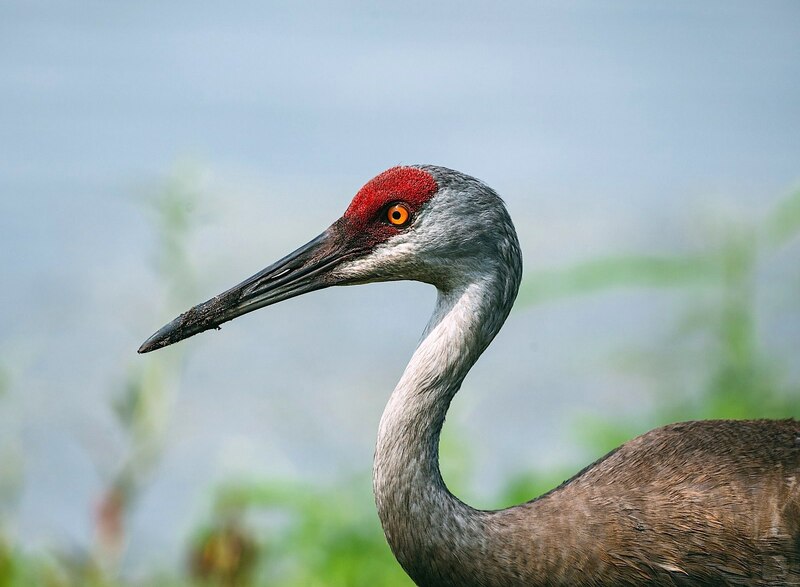 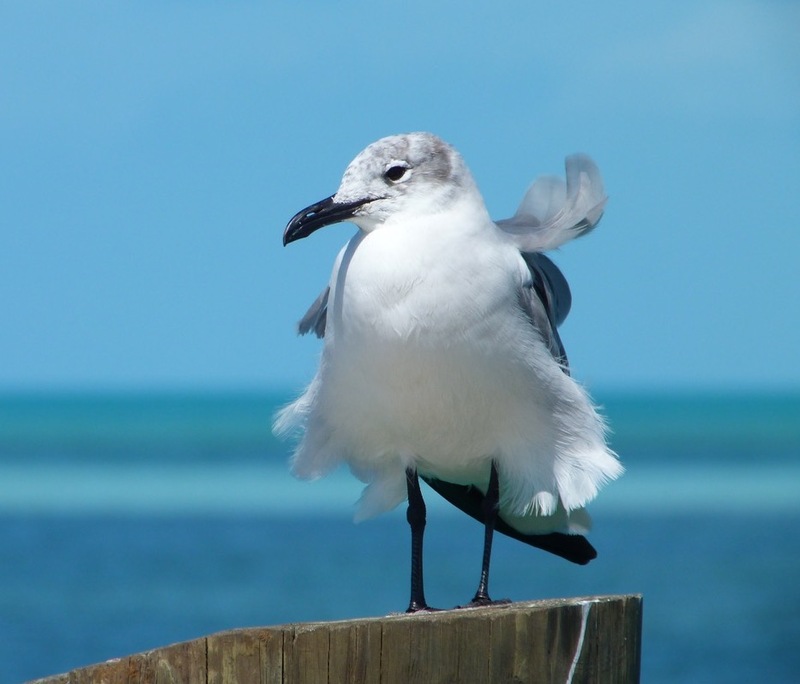 There are plenty of ‘good’ birds to see there, depending on the time of year: tropicbirds, frigatebirds, ospreys, brown pelicans, white ibis, cattle egrets, other egrets and herons, kestrels, and a variety of shorebirds. 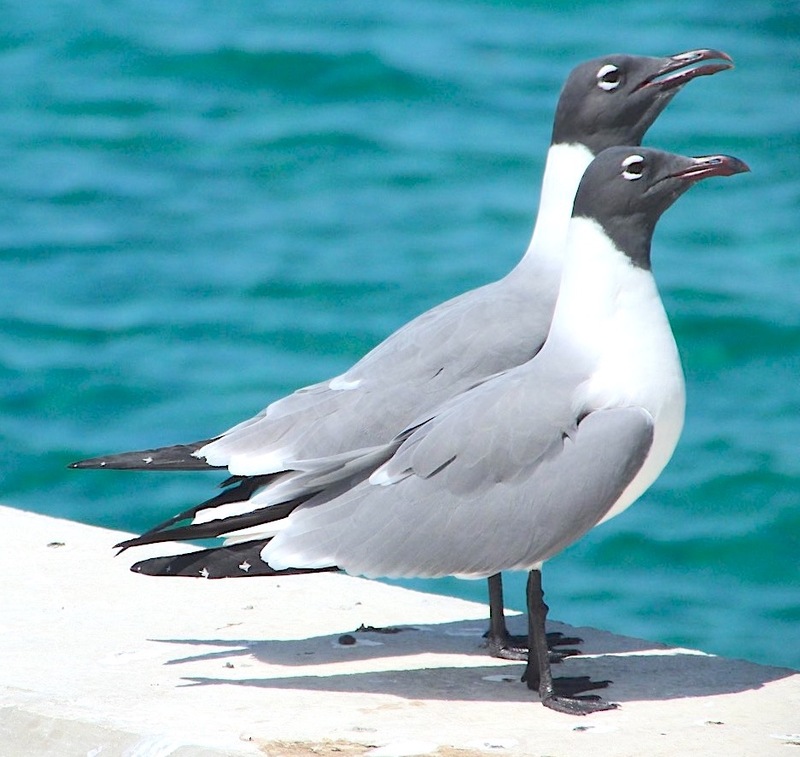 And gulls. 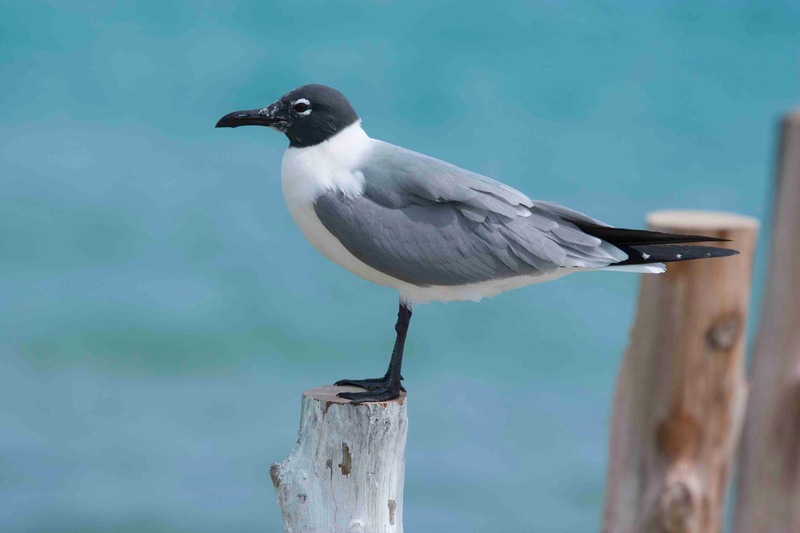 We encountered a pair of Laughing Gulls perched on a piling. 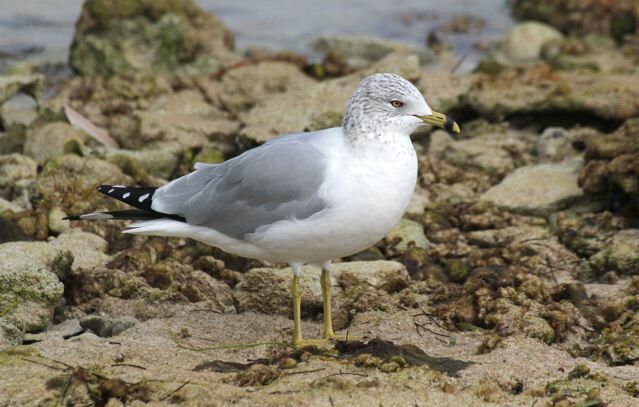 The Ring-billed Gull Larus delawarensis is a common winter gull, familiar to all in its adult form because of its… er… ringed bill that distinguishes it from all the other gull species found in the northern Bahamas. 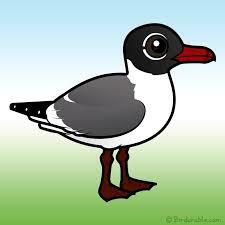 There are other differences, obviously, but this beak-related signifier provides the easiest method of ID. 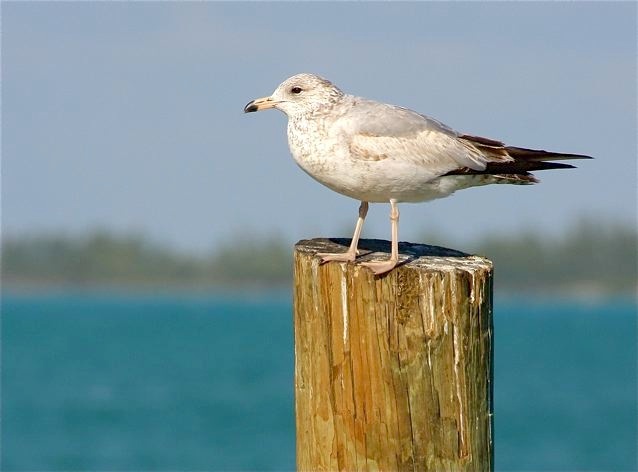 To be honest, you may find one anywhere – out to sea, on the shore, inland, or perhaps hanging out at one of the dumps that they are attracted to. 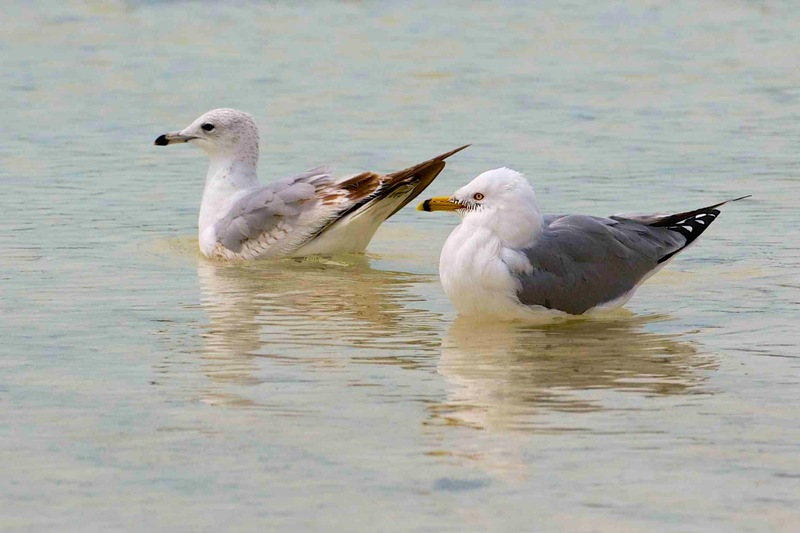 This last preference is one shared with many species, but while the dumps may provide good birding venues, the photographic backgrounds and general ambience may be somewhat unattractive… Here are 3 great photos by Nina Henry of these gulls where they look best, near the shoreline. 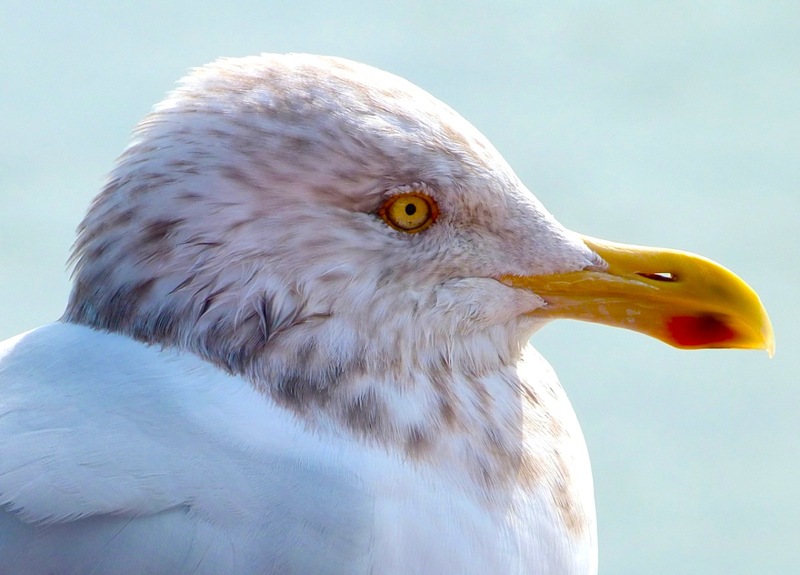 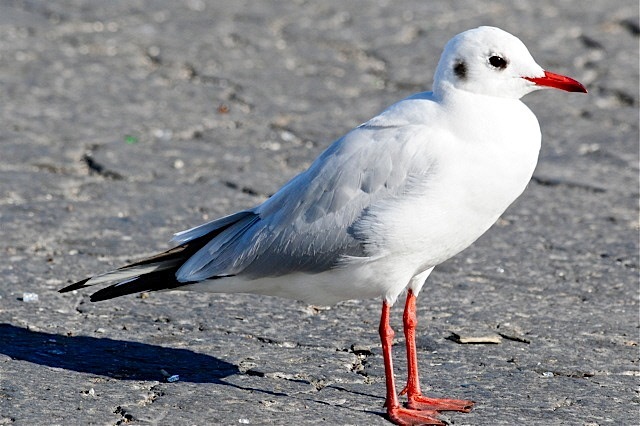 The Latin name of these gulls refers to the Delaware River, Pennsylvania, which is on their migration route. 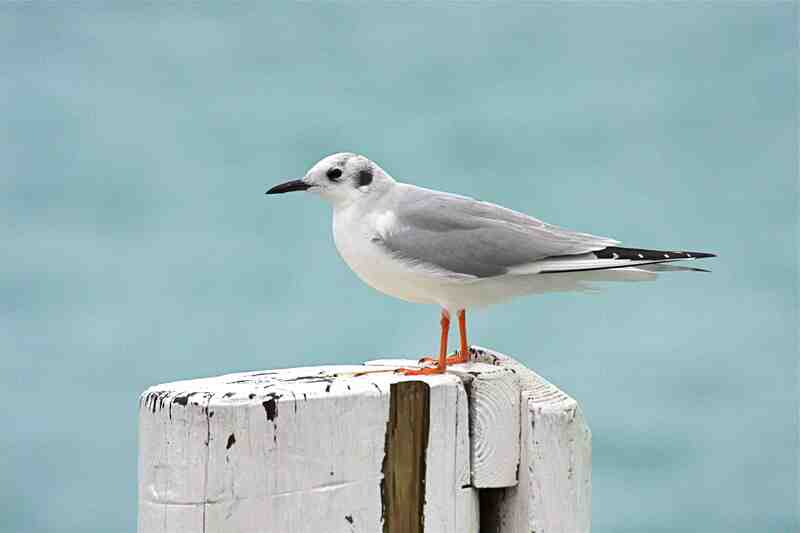 But there must have been dozens of other towns along the route with equal claim to have a bird named after them. 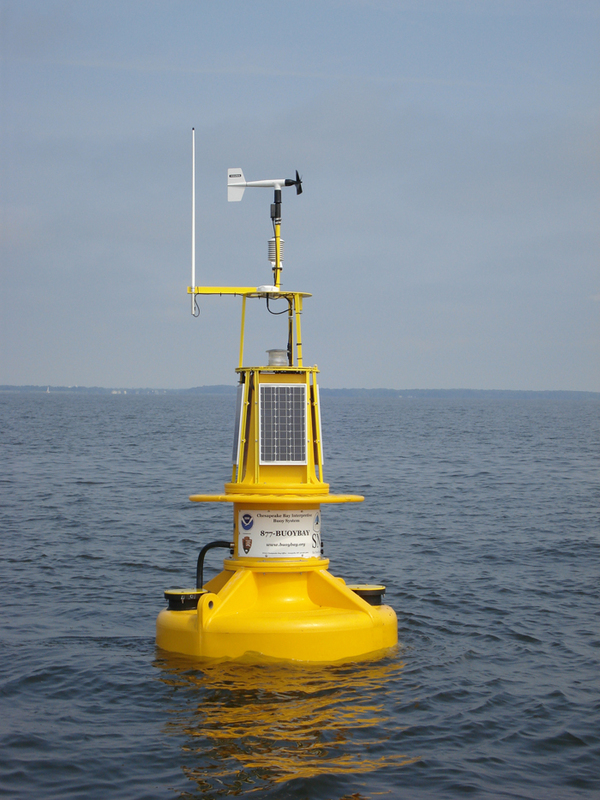 Why Delaware took the honours, I cannot explain… and thinking about it has inserted the old song in my brain “What did Delaware, boys? 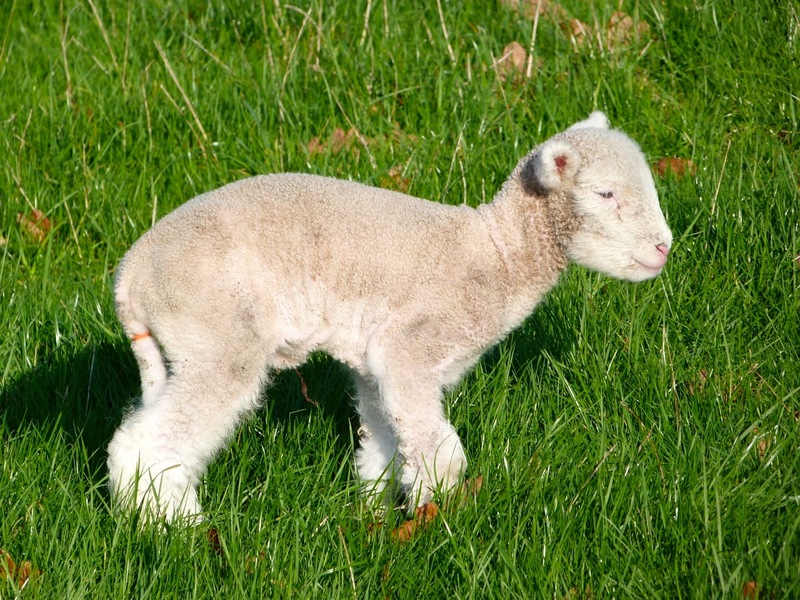 What did Delaware? 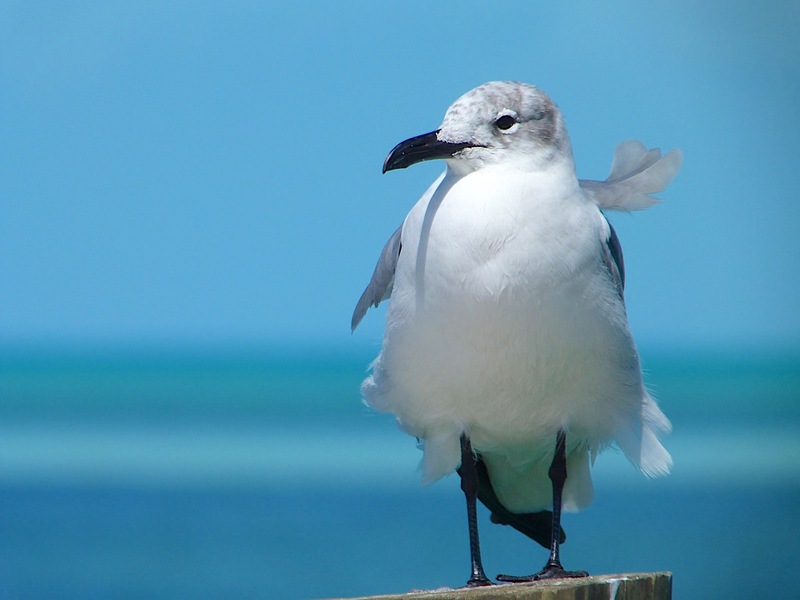 She wore a brand New Jersey…” etc etc**. 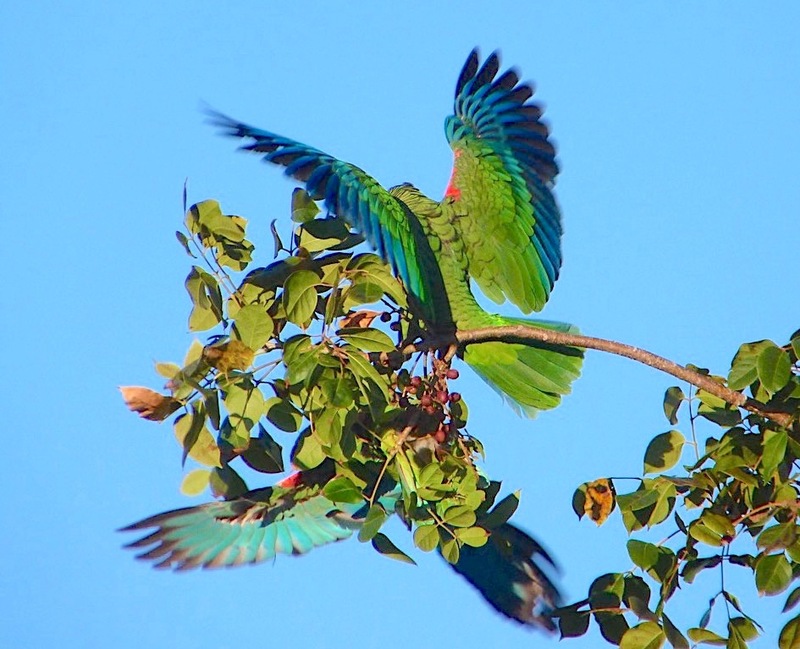 So I’ll get on and show some more RBGs to get it out of my head. 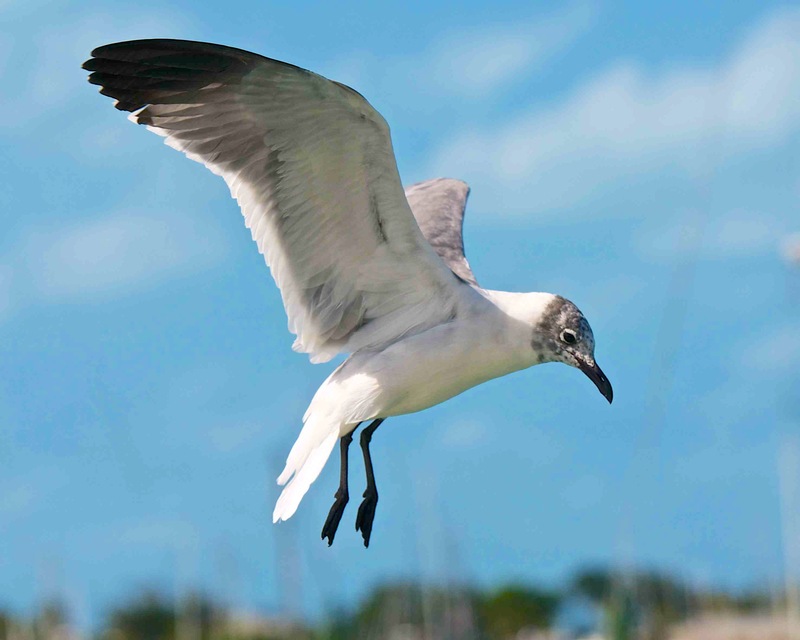 Here are 3 stages of development from Bruce Hallett. 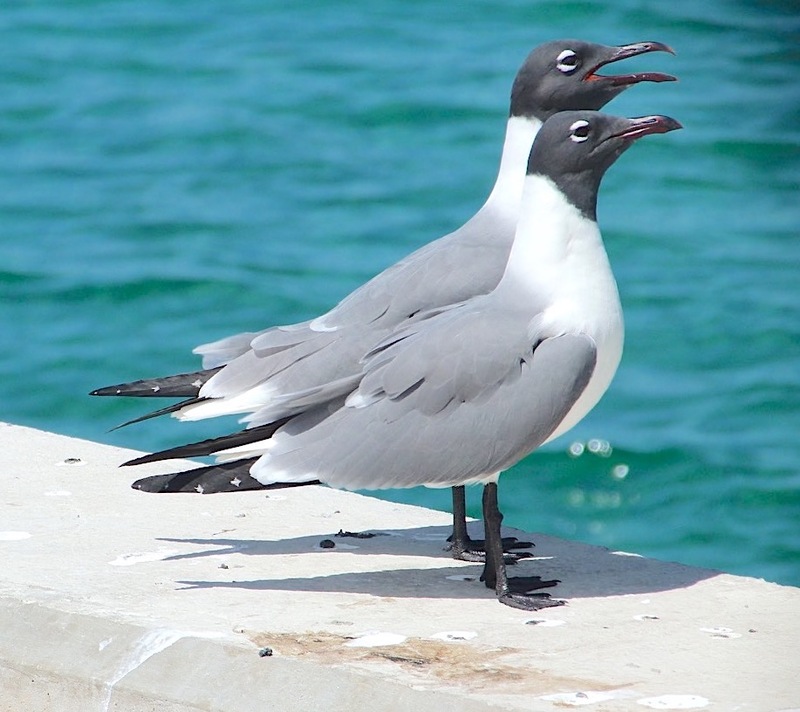 Laughing Gulls are gregarious creatures, and are quite often found in a group with some other seabird in the middle of the crowd – often a larger one. 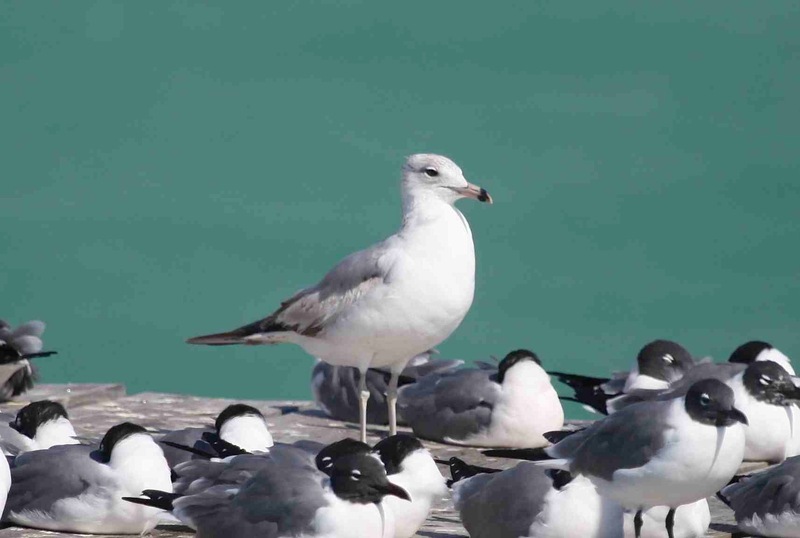 Here is a ring-billed gull standing proudly in the throng, while the laughing gulls snooze in the sun on the jetty. 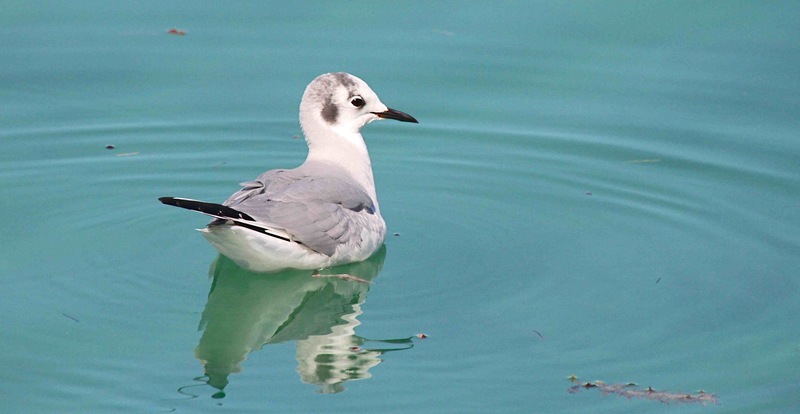 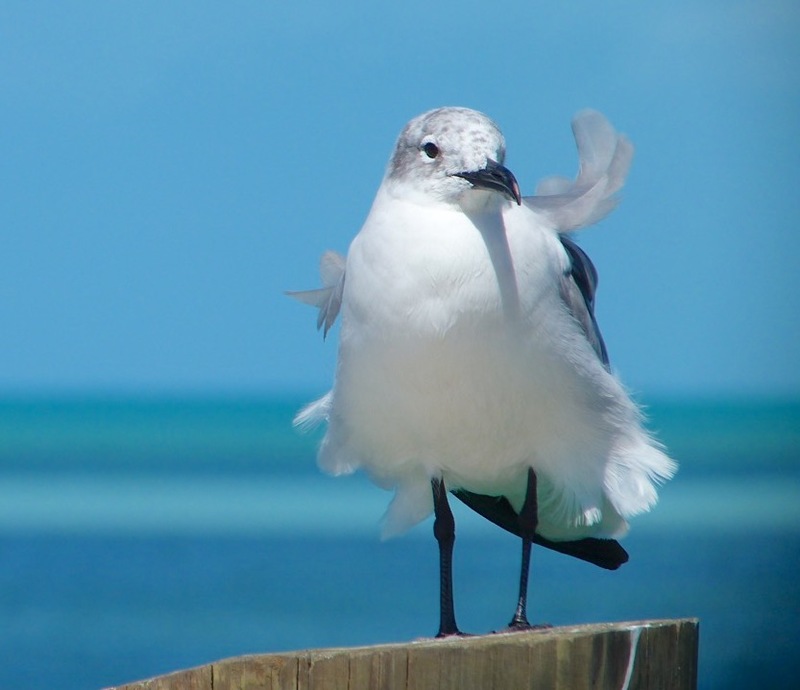 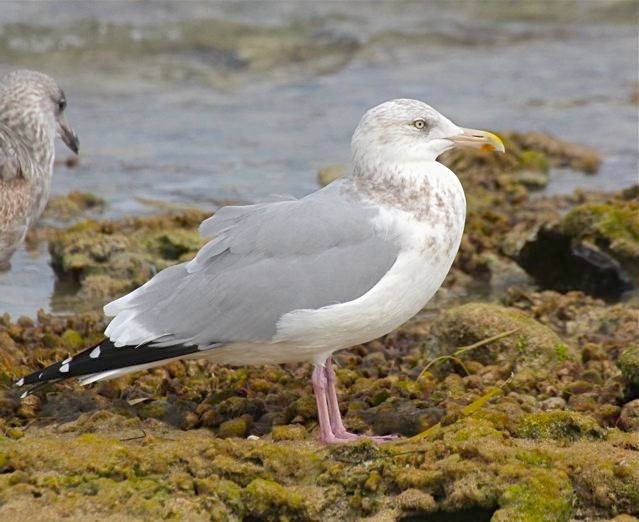 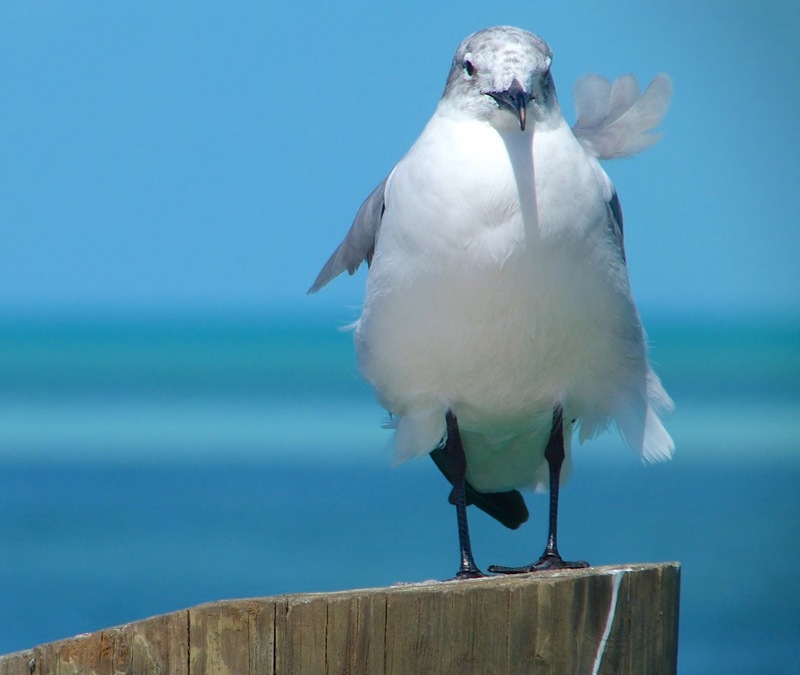 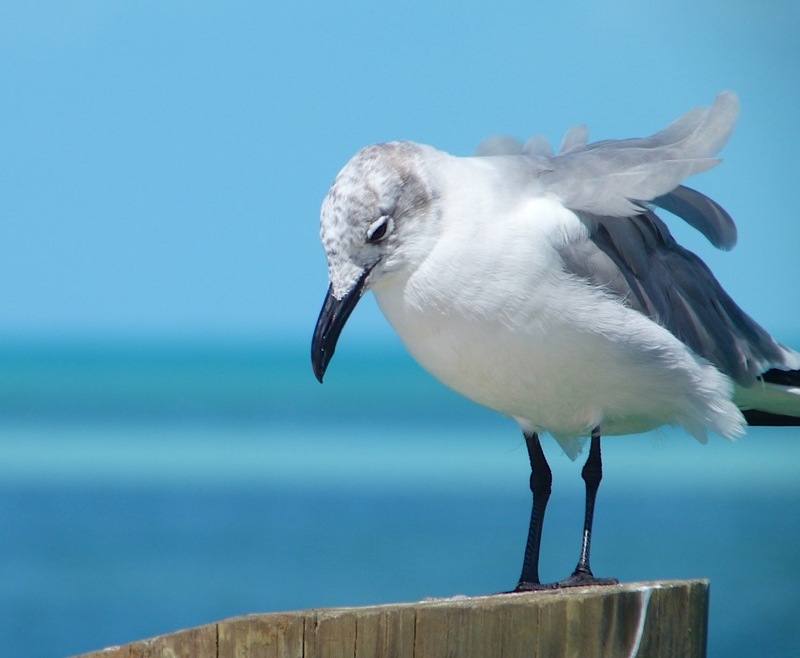 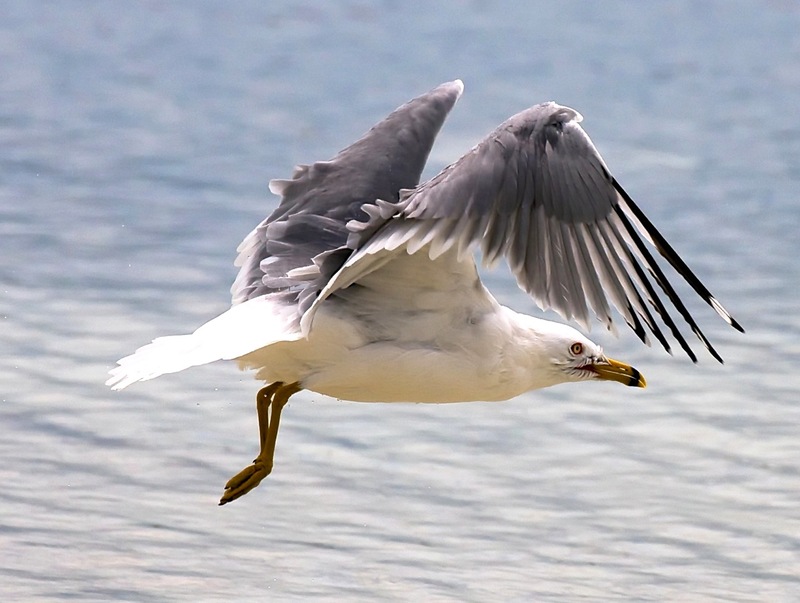 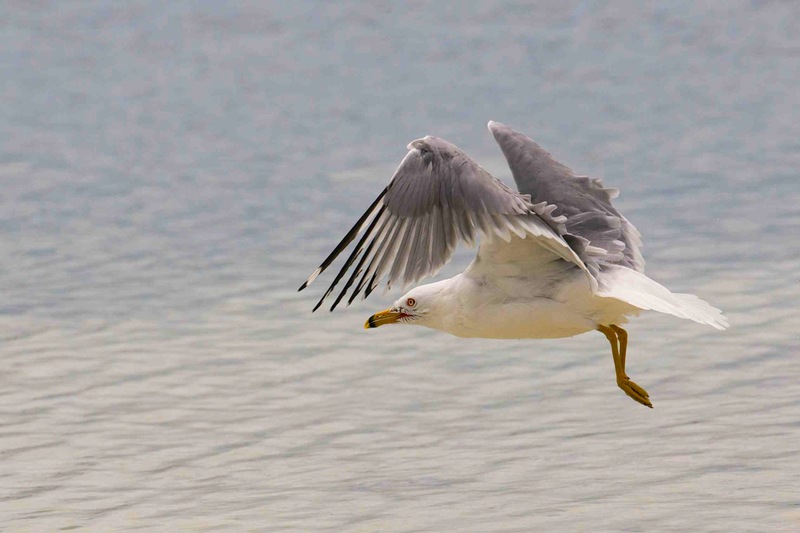 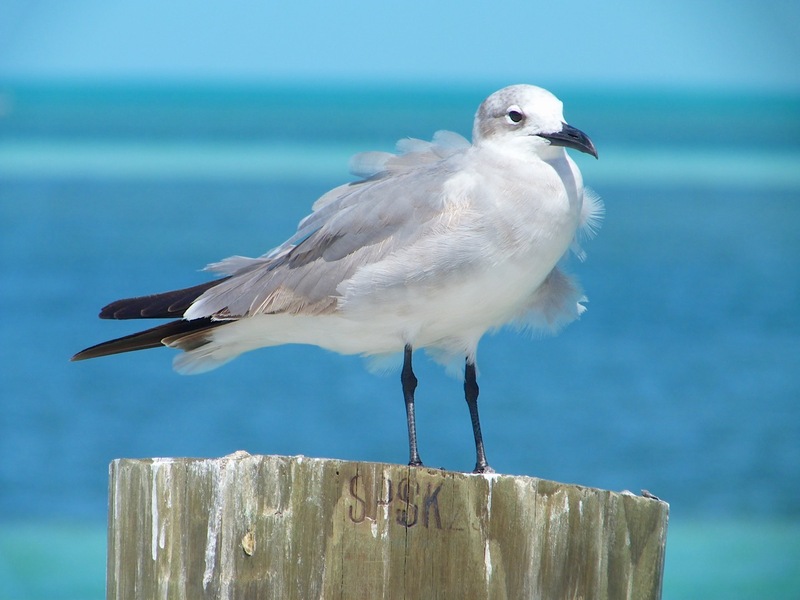 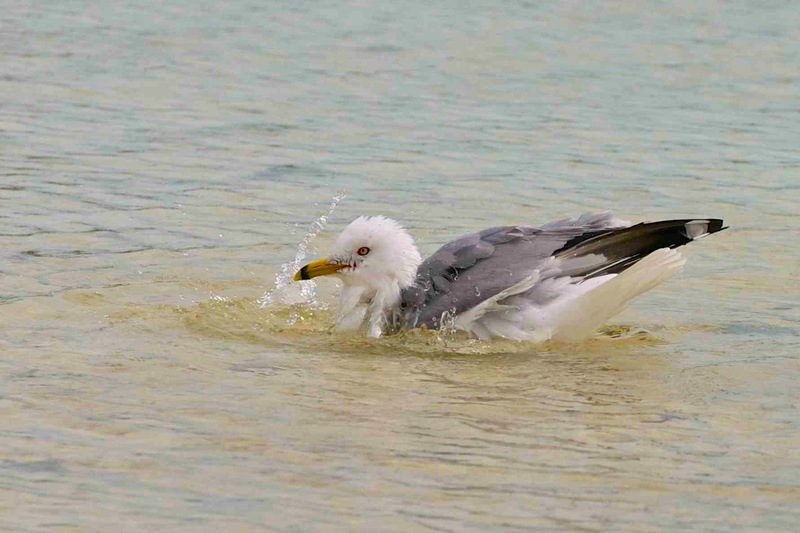 There are 8 gull species recorded on Abaco. 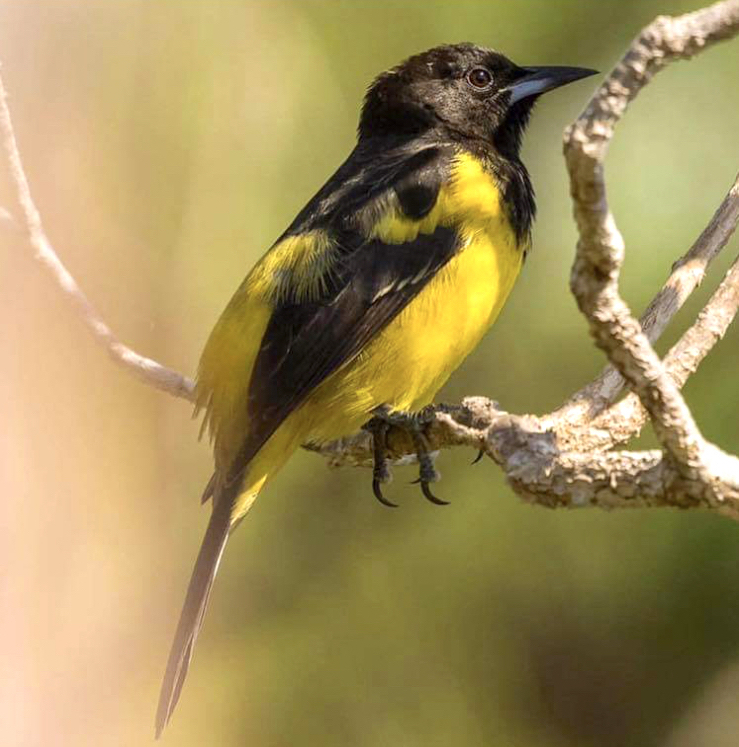 The 5 species shown here all feature in the new ‘Delphi Club Guide to the Birds of Abaco’. 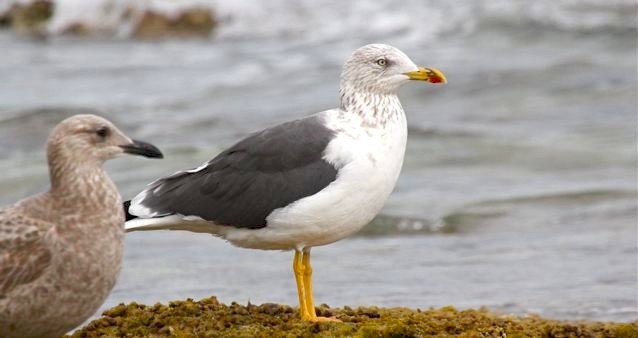 The others are the occasional vagrants Black-legged Kittiwake and Black-headed Gull; and the rare winter visitor Great Black-backed Gull. 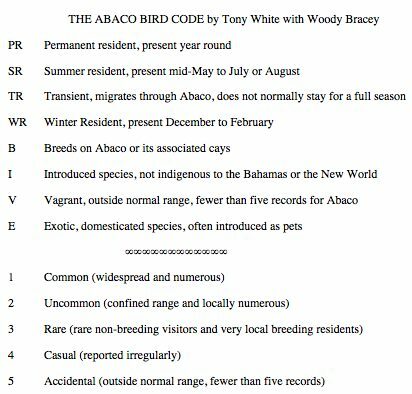 We do in fact have a Black-headed Gull in the archive (in winter plumage), but it was taken on New Providence and wasn’t eligible for inclusion in a book of Abaco birds. 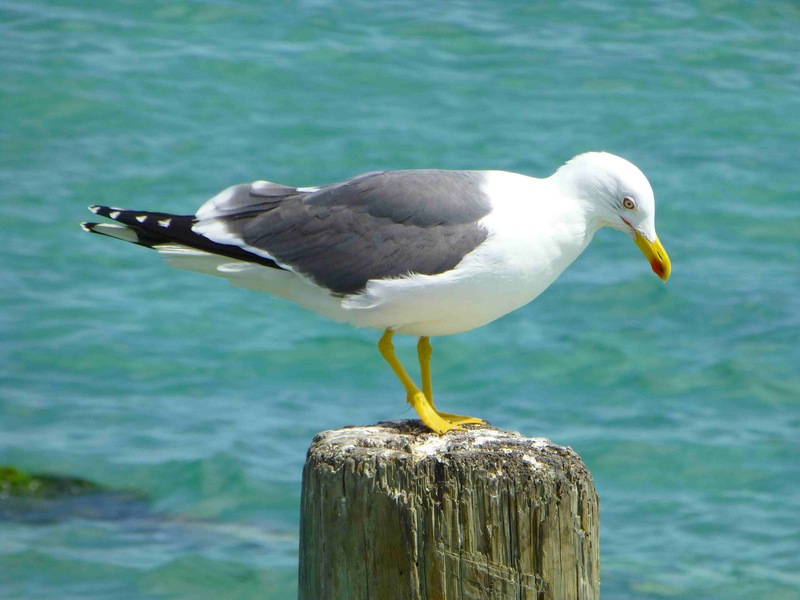 Even as a cheat. 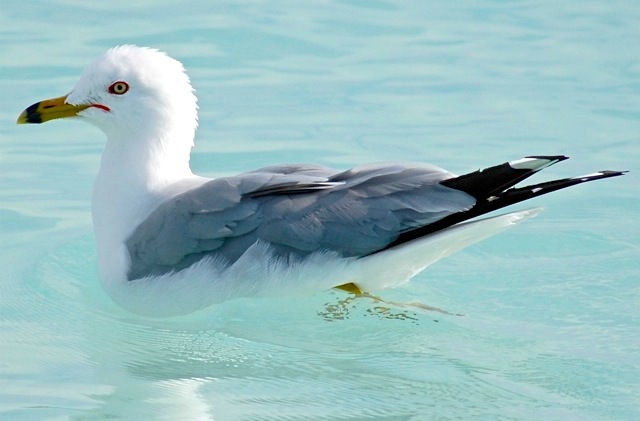 * Correct. 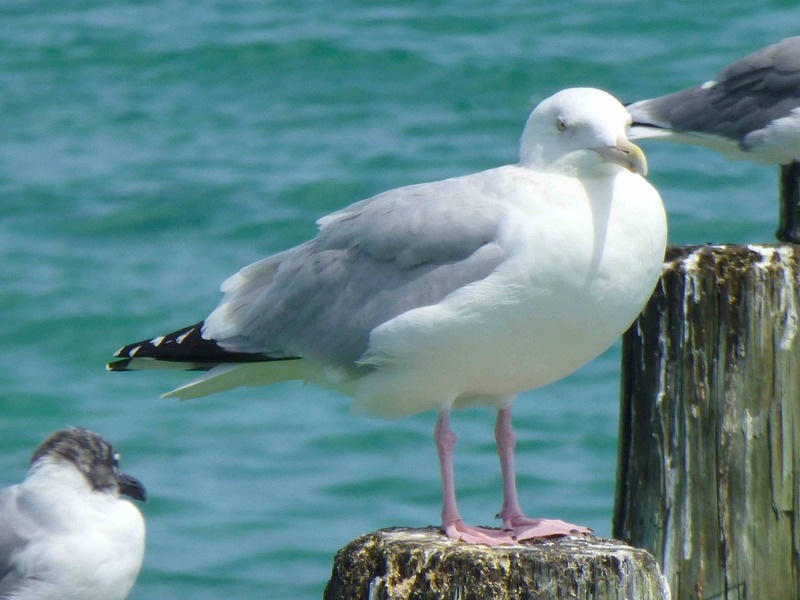 The image is included solely to enable a laboured & old hat pun on ‘girls & boys’.